Today’s guest is Talegeta Leul. He is re-specialist researcher and principal scientist. He as well is a clinical dentist by profession. He earned a diploma in dental therapy from Jomo Kenyatta University. Furthermore, he has successfully plunged himself headlong into in private research for more than 35 years. Above and beyond, he has a long-experience in new and self-motivated re-biology science and re-bio genetic engineering practices. The re-specialist researcher, Talegeta has tried his hands and heads on innovative and improved agronomic techniques apart from discovering better water-harvesting-and-reserving device. He is also known for the production of genetically-automated seeds, which are branded by the Ethiopian Intellectual Property Office. He has a wealth of experience in innovation of Re-biology and Re- bio genetic engineering inventions, key for human health. Given his accomplishment, he has been awarded accreditation certificates and trophies from seven institutions. 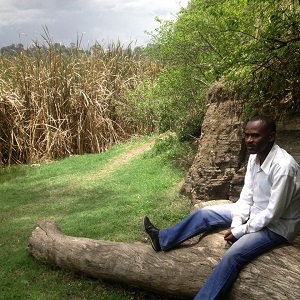 In the same way, Talegeta Leul has served for more than twenty three years in a range of capacities in various governmental and non-governmental organizations. He is the founder and manager of Re-nature Eternal Life Agro processing company. He has been in the profession for years in addition to successfully conducting research revolving around dental treatment, natural science, social science, soil development, among others. More to the point, he has come up with more than fourteen new theories in re-biology, gene, cellular therapy, chemistry, land science, space science, dental therapy, water, soil and other related aspects. At this point in time, the researcher possesses three unpublished research papers in re-biology science, Re-Bio Dental therapy, re-biogenetics engineering and re-nature science. How did the idea of innovating automated perennial (long-lasting) crops’ seeds come into your mind? I was born and raised in Northern Sehwa. As I grew up in the rural area, I know Ethiopian farmers’ deplorable life as the back of my hand. I closely observed they were constantly leading a hand-to-mouth life due to the ineffectiveness of farming system. All their efforts were merely going from bad to worse. Farmers did not have an inkling about how to get to the bottom of their problems. Though farmers were working hard, they were fettered by poverty. They were suffering from hunger. Hence they were forced to opt to migration. I was thinking of something which could turn round the lives of farmers ensuring food security. When the right time came, I studied dental therapy at Jomo Kenyatta University. That allowed me exposure to research. Later, as doing research on agricultural research proved to be my calling, I got myself fully engaged in demand-driven agricultural research with the aim of making my dream come true. Through the passage of time, I came up with new innovations useful to the betterment of the lives of citizens such as crop Genetic Treatment, best organic fertilizers, rain water harvesting device and what have you. Medication and agriculture are diametrically opposite sciences. How do you manage to handle tasks aligning the two? Re-biology and re-biogenetic engineering science depict cell as a source of life, nature as the core source of new life and the like. The re-biology science changes the concept of biology science into practice at advanced level. Re-biology studies are anchored in the positive and negative form structurally built in genetic make ups. It studies about biological life creations including people’s health, animals and plants life, among others. But for the sake of specialization, it is categorized as zoology, human biology, botany, genetics, bio-technology and the rest. As biology studies about living things, anybody who would like to study medicine and plant science gene, can actualize his/her dream as there is no much difference in researches focusing on the genetic sphere. Much difference is not reflected. How did you prove yourself to be successful in research without the enriching opportunity of advanced education? The scientific theory that we put into practice could be subject to a new creativity, findings and hence recasting. Sometimes, it may not depend on the long-held or long-cherished educational and professional theories. Based on the revealed theory, a new education discipline and professionals could evolve. It is because scientists or innovators in the past came up with different innovations based on their own creativity we appreciate them but not because they wholly relied on the system which existed before or at some stage in their time. As could be surmised from research histories, the seed bed of most of the disciplines that we specialize in at different universities is founded on innovations and intellectual efforts. As of the time of creation, human beings have been leading lives by the sweat of their brow as opposed to other animals. As a result, they had to prepare their own food. Flipping back to the gist, as food is the most important thing in life for the continuation of human species, currently displaying population explosion I placed much emphasis on genetic treatment of crops. I have been working day in and day out to achieve the desired goal—balancing demand and supply. The research has taken me from 35 to 40 years. Among the theories claimed to take agricultural productivity to a new chapter of success, salient is the theory of enhancing the performance of crops seeds from 30% to 40%. Hence, I and colleagues, I took on board, have innovated a fruitful genetic research which could ensure food security across the nation shortly. 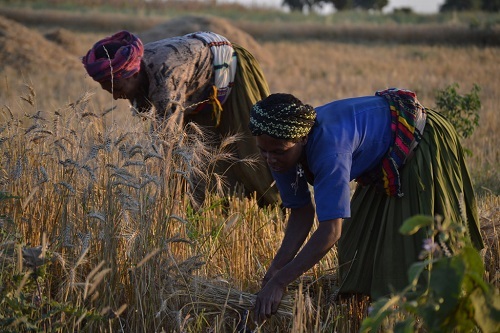 What benefit could Ethiopia secure out of the Automated Perennial crops seeds (the genetic treatment on crops)? Ethiopia could reap a lot of benefits. In the beginning, it extremely lessens extra expenses of land preparation/cultivation as rejuvenating crops will be harvested for longer period of time. It as well renders one’s surroundings green. Besides, every household turns out to be self-sufficient owing to the continuous harvest. Apart from that the trend stabilizes market as the supply grows to be surplus. Without a shadow of a doubt, automated -Perennial crop seeds improve the nutritional status of citizens in addition to making toddlers and young children healthy, productive and creative. It also plays a major role in preserving nutritional food taste. Aside from, getting better the economic status of the community, specially farmers, conflicts and hunger will be highly resolved as ethically strong community will be created at national level. What activities are you running at Re nature Eternal Life Agro Processing S.C.? Well, I am the founder of Re nature Eternal Life Agro Processing S.C. It is a legally registered share company. It has got Investment Permit from Addis Ababa Investment Agency. It is a Startup company engaged in multiplying over and coming up with yields based on the new technology. At the moment, based on Research and Development, it is engaged in production of Special Organic Fertilizer. What is more, the company focuses on inclusive industry clusters, which produces inputs for agricultural works targeting at spurring agricultural development. Moreover, by embracing bio-technologists, agricultural economics professionals, statisticians, measurement professionals, law professionals also professional on mechanized agriculture and industry and the like under the umbrella of the main research and development department of the company, we have successfully achieved knowledge management exchange by making use of quite a lot of strategies over the past two years. Likewise, we have made thoroughly discussion pertaining to the new theory with 12 Ministry organizations and other government organizations, 7 famous universities and 9 key government officials, 48 professors and researchers and the rest have been made. Quite a lot of positive feedbacks have been entertained in this regard. It is said that the project is funded by the Ministry of Science and Technology. Is it true? Yes, it is very true. In May, 2015, FDRE Ministry of Science and Technology extended small grant research project fund for an Ambo area research demonstration site. The site was working on genetic treatment on Cereal crops such as Sorghum and Teff as well as on pulse crops like Bean. It came up with good results on those crop types. Hence, on March, 2016, the project was awarded gold medal and trophy from the former Prime Minister Haile Mariam Desaligen at the National Science and Technology Award ceremony. Secondly in May, 2017, to scale up the project to a suitable Agro ecology site, the Ministry had signed a project agreement worth 2.7 million. The first 35% of the budget was released and subsequently the project was carried out at the Dukem and Akaki project sites. The project was entitled “Multiplication of automated perennial crops.” Here, also the project has portrayed remarkable results and commendable achievements. Hence, seizing the opportunity of this interview, our research team and its host company would like to extend heartfelt gratitude for Dr. Ing. 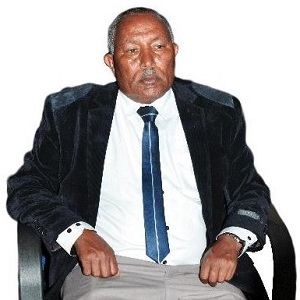 Getahun Mekuria, Minister of Ministry of Science and Technology, who has a kindred-soul and far sighted and visionary higher level decision maker. Without whom our effort would have been futile. He is the backbone of this cutting-edge scientific theory and innovation to enjoy the spotlight soon and to be embraced by the contemporary scientific community. We would also like to thank higher level decision makers at the Ministry for their contribution and technical support. We did face stubborn resistances (lack of a vibrant and responsive scientific community) .Considering Africans as feeble mind ones was the other challenge. And giving little scientific space for researchers from the continent was a hurdle. Some of our unprecedented theoretical principles were met by cold shoulders taken traditional ones that went off the normal paradigm. To the surprise of many, unable to believe their eyes to the manifold yields that continuously sprout on our research sites, some experts attach the astounding outcome to “Superstition” , while others say it is “Supernatural, Spiritual, magical.” There are some researchers who went to the extent of uttering “Who the hell are you?” They consider my work “A heresy to contemporary science. Yours desecrate ours.” On the contrary, some demand the winning formula and technical issues. There was even an attempt of thievery of the scientific codes. Another thing is the presence of practical measurement and interpretation difference between conventional and our scientific theories and innovations. We fail to get consistent research fund. We are facing pulling factor and pressure from other countries. A case in point, I was invited to Europe, Middle East and Far East Countries with a promise of special assistance. Could you tell us about the technical description of automated perennial crops and its productivity? Automated perennial crop seeds are automated and perennial. They have no genetic modification. They are multiple tillers and have natural Genetic structure (GSC).Also they are drought resistant. Concerning the reproducibility of automated perennial crops, Teff successfully grows from 1-2 years, Sorghum from for 2-7 years, Bean from 1-2 years, and Millet from 1-7 years. What are the benefits of organic fertilizer and the rain water harvesting device you came up with? To start with, the fertilizer has more than 50 mineral ingredients containing anti bad acids and anti dot substances harmful to crop development. What is more, it is emission free: No Nitric acid & Di-ammonium phosphate, its pH level is 7.09, enriched with a package of minerals (both macro and micro substances). It has multivariate benefits for leaf, stem, roots, fruits, seeds, cells, stalks, flower and crust so that the plant growth becomes effective and what not. Concerning the benefits, it prevents soil toxification and serves as a soil cleaner which helps wipe out dreadful chemicals. It also dissolves crystals of acid sludge with the purpose of reducing toxic acids and alkaline. Moreover, it does not pollute nature as it is free from hazards of nitric acid. It is applied based on soil type and specific pH level as it affords high nutrition supplier to crops and micro nutrients to the soil. In the same way, the fertilizer neutralizes bad chemicals, improves the performance of microorganisms, bacteria and fungus to ferment the soil, has adaptable benefits for all crop types as it prevents lodging, increases the number of tillers in crops, has no harm to the soil microbials, and the rest. About the rain water harvesting device, it ensures food and water security, reduces work load of women and children in Rural Ethiopia, expand harvesting period of from twice to thrice per annum, there is no need for fuel and electric cost since it is mechanical, it replaces irrigation, it reduces children & women workload, it serves alternative water bank, it curbs farm land shortage, it helps to have a green planet, it helps for environmental & Soil protection.